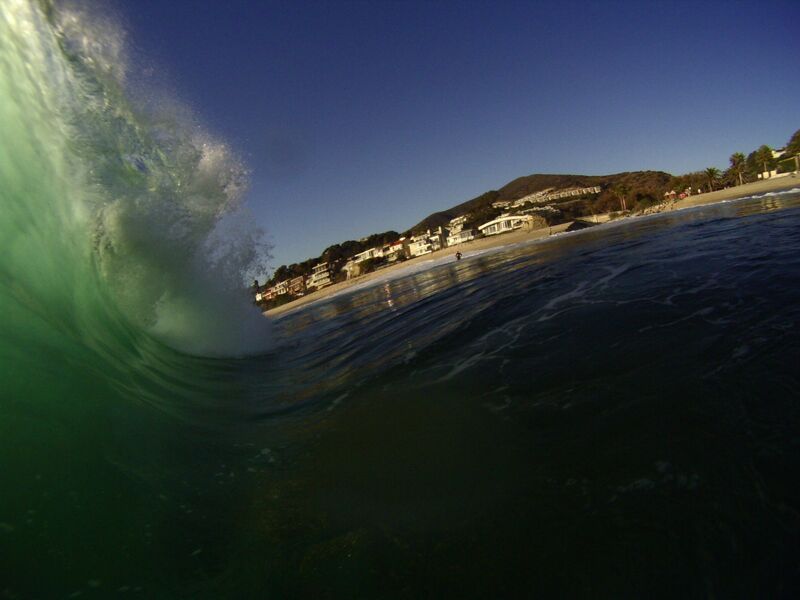 I’m driving back home from working in Laguna on a super hot and glassy afternoon and drive by the beach, only to see perfect little 2 ft tubes breaking right on shore. 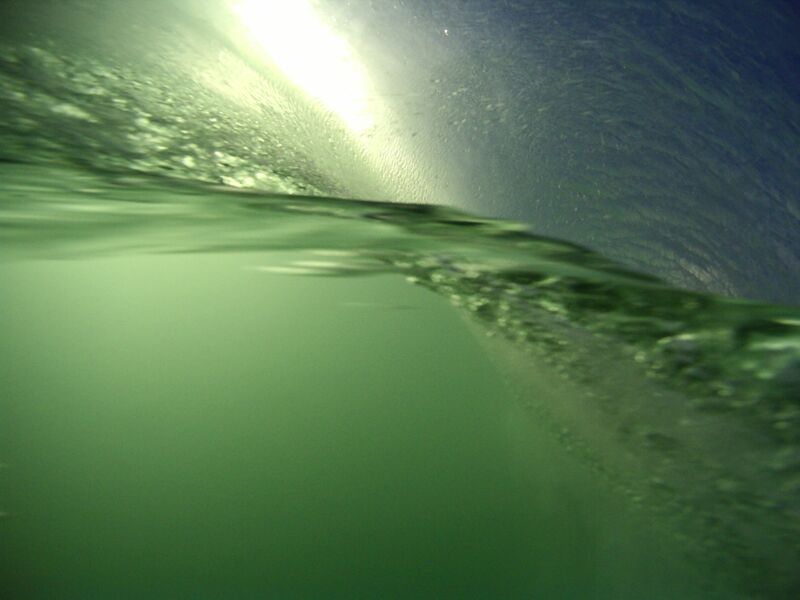 I get this hair brain idea to go swim with my Go Pro camera and shoot some fun tube shots and see what this little camera can do. 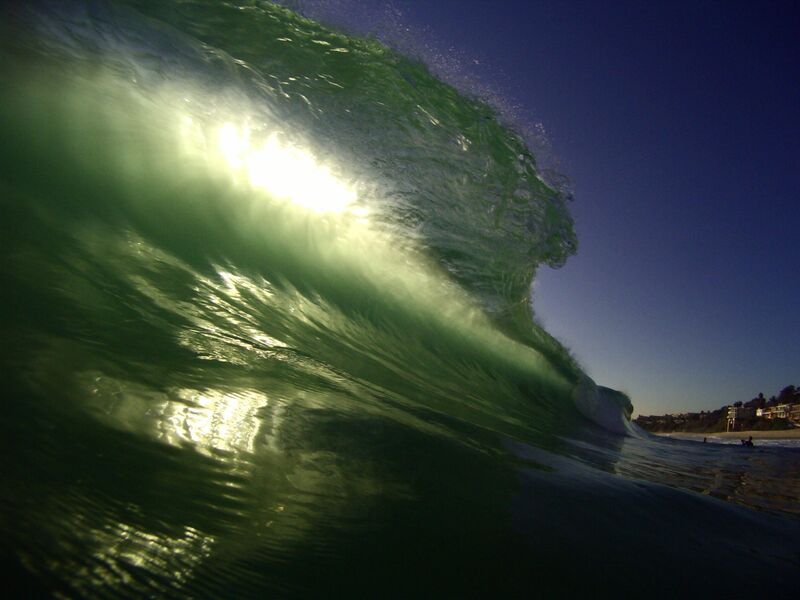 Here are a couple fun back lit shots….. 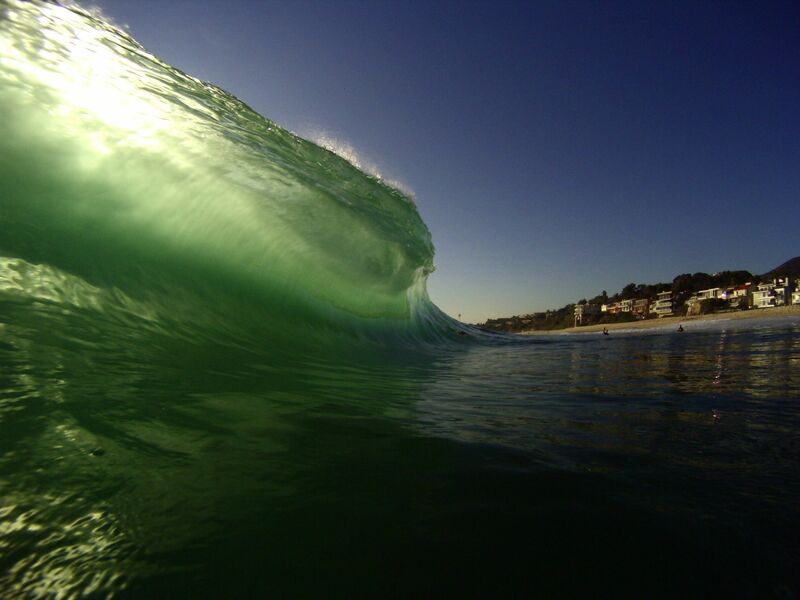 Throwing wide in 12 inches of water.. 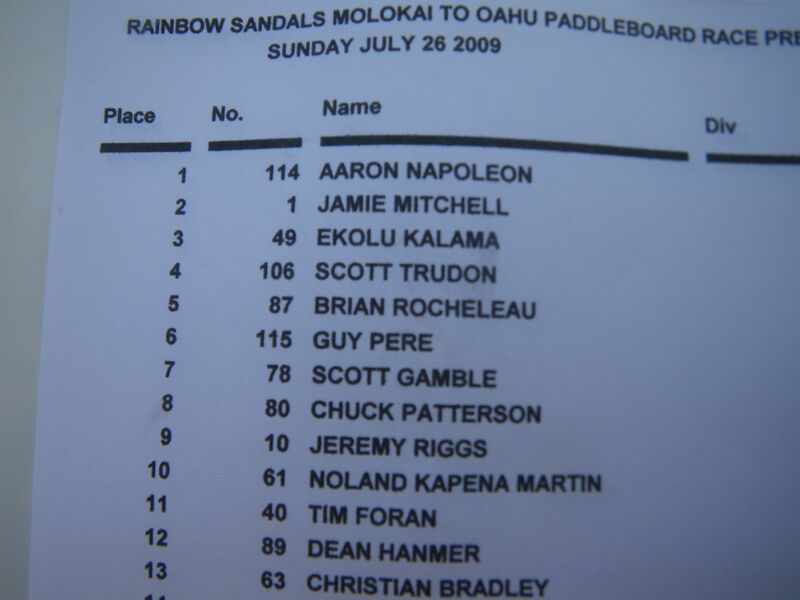 In the SUP world, the Rainbow sandals Battle Of The Paddle is recognized as the SUP World Championship, where all the top SUP racers in the world come together to battle it out in the most challenging race ever. 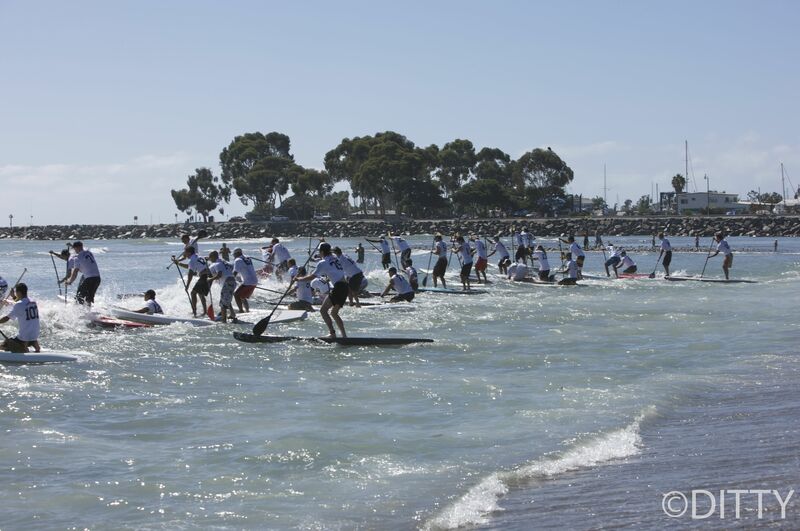 This years event was a 2 day event held in Dana Point at Doheney state beach where the beach was covered with SUP industry tents, boards and thousands of people waiting to see who would win the world crown. 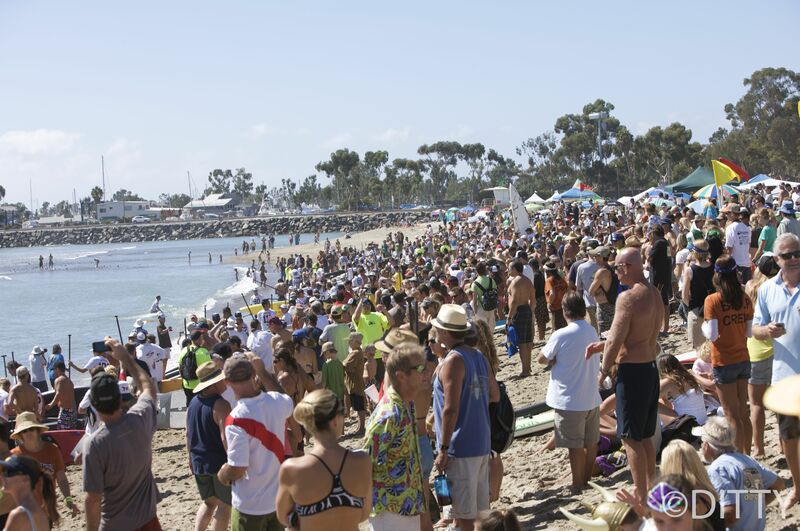 Full story and photos soon…..
Thousands of people crowded the Dana point shores to see the Battle. 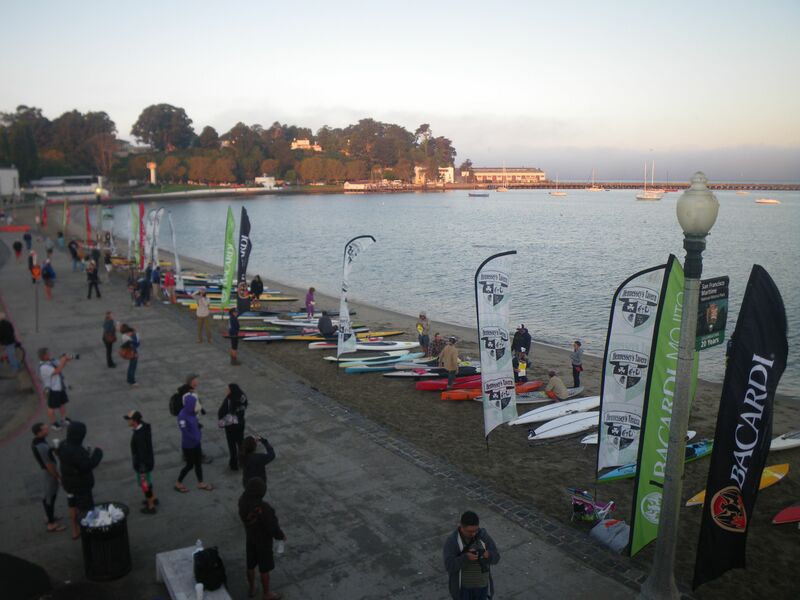 The Hennesseys International Paddle Board Championships were held in San Francisco at the Aquatic park on a beautiful warm sunny 80 degree day. 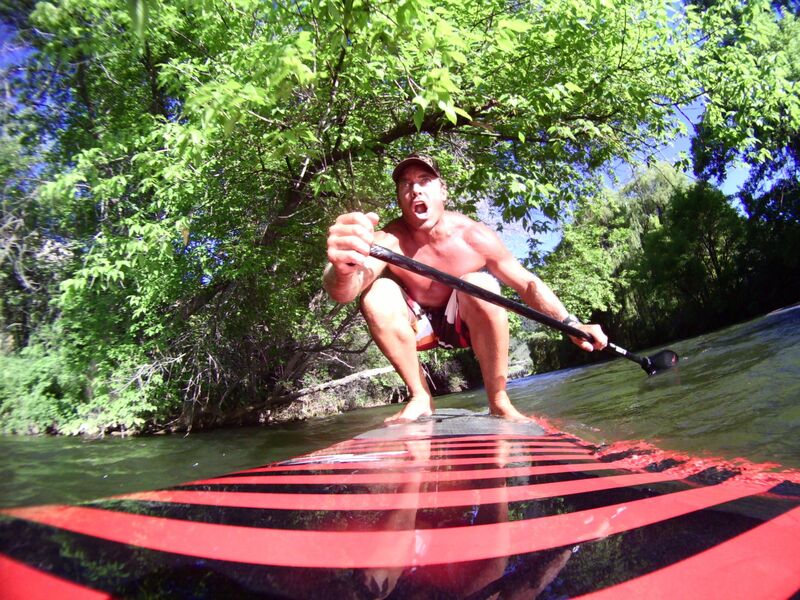 Team Hobie drove up a few days early to train and enjoy the city life with friends. 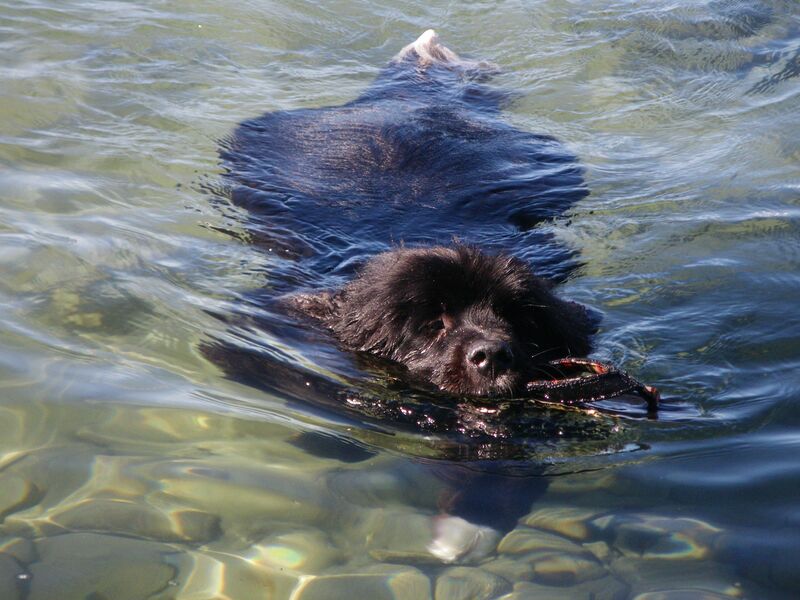 Full story and photos soon……. 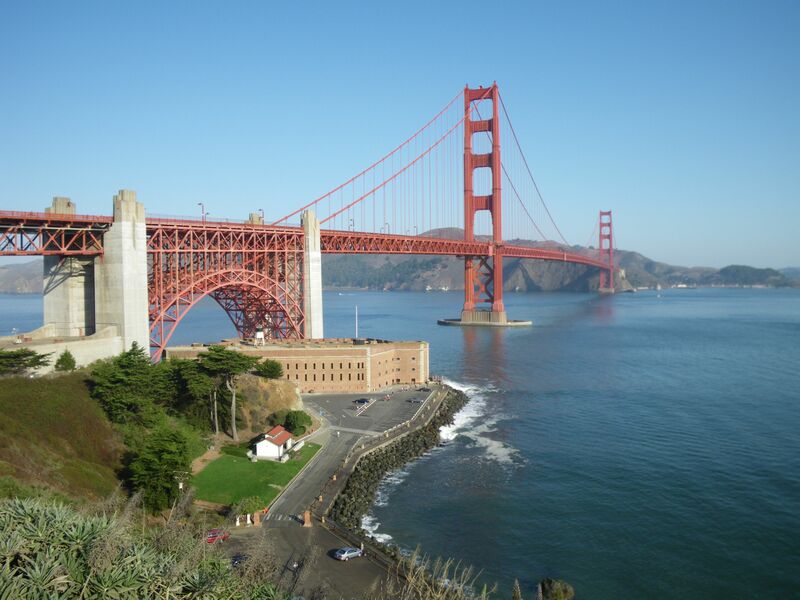 The Golden Gate bridge in all it's glory. 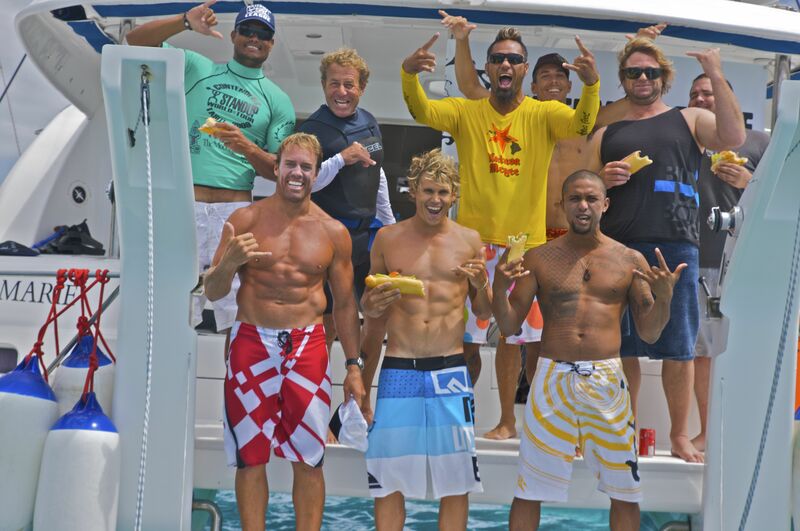 With the sport of SUP racing growing so fast, the SUP surfing is sure to follow in it’s footsteps with a world tour..
Tristen of Waterman’s League, decided to put together a small contenders boat trip in Tahiti to test out the idea. 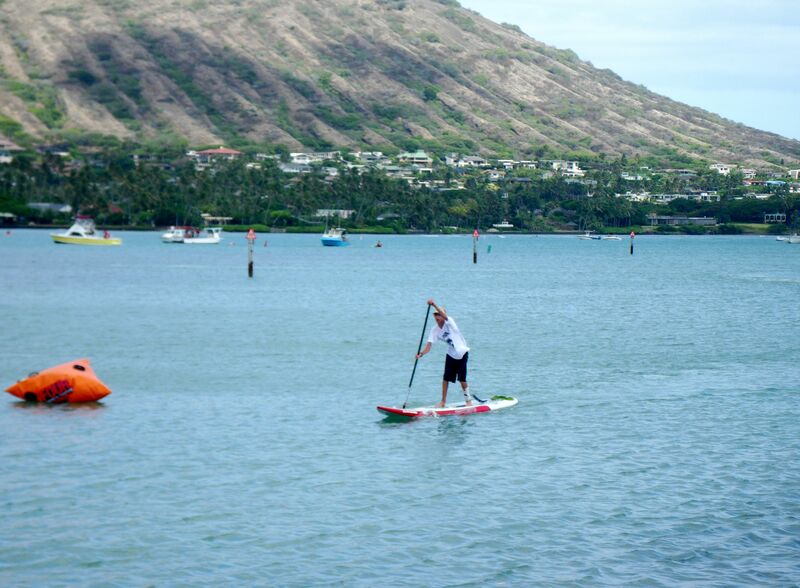 12 SUP athletes; 4 from Tahiti, 4 from Hawaii and 4 on the International team. 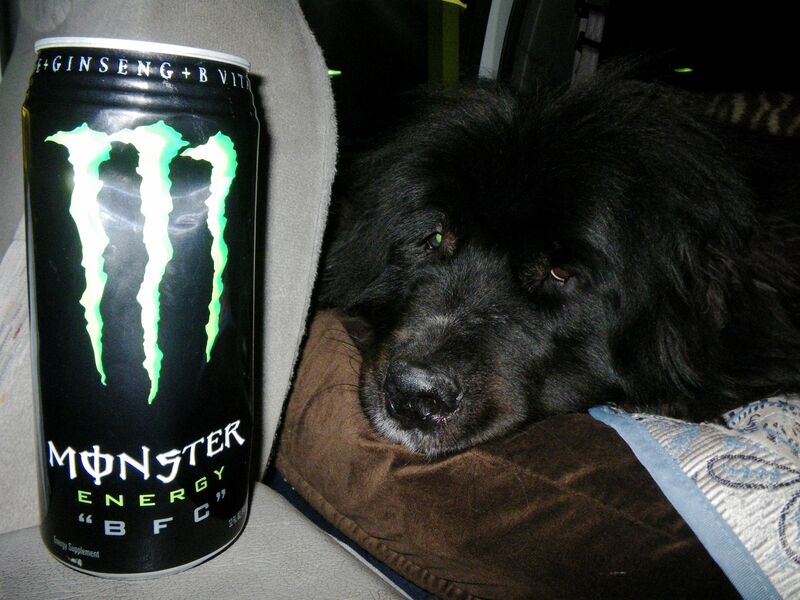 Full story and photos soon…. 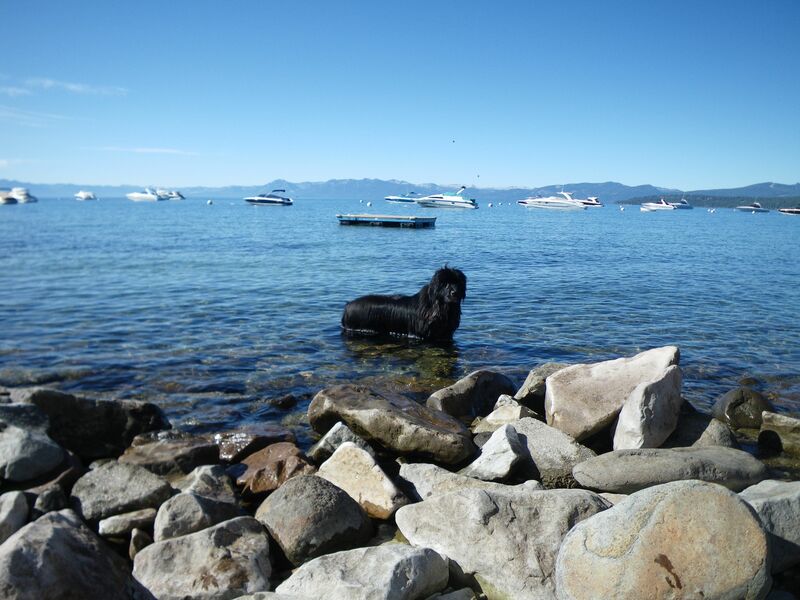 I always like changing it up and doing everything I can that encompasses water. 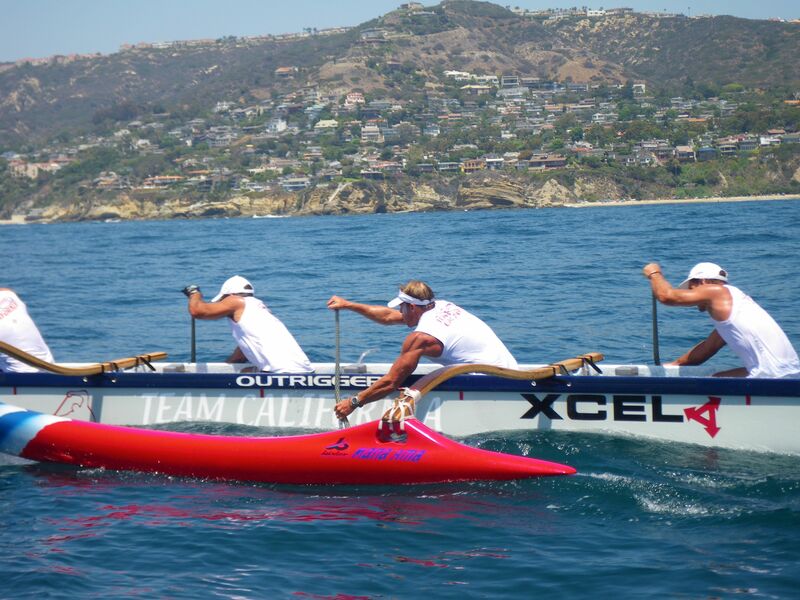 This year I have been very fortunate to train and paddle with Team California outrigger team. 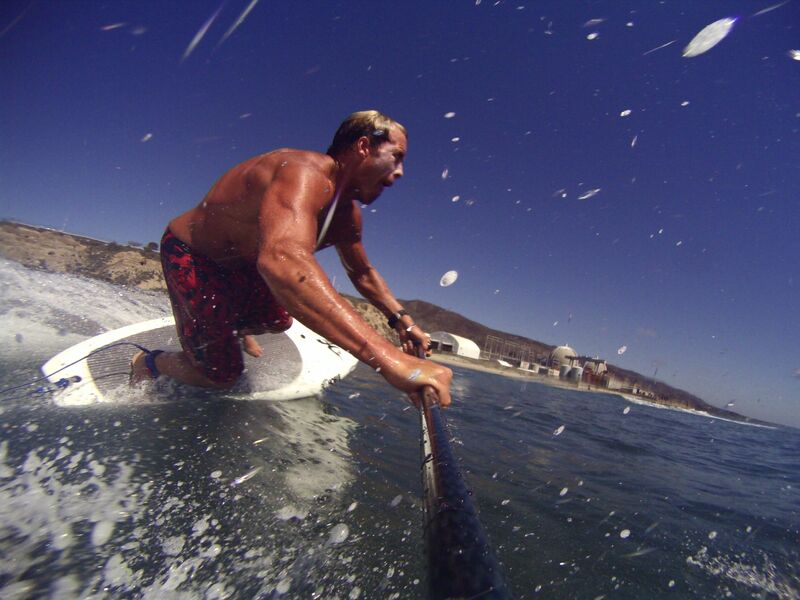 We all train super hard at everything OC1, surf ski, SUP, surf, swim etc. 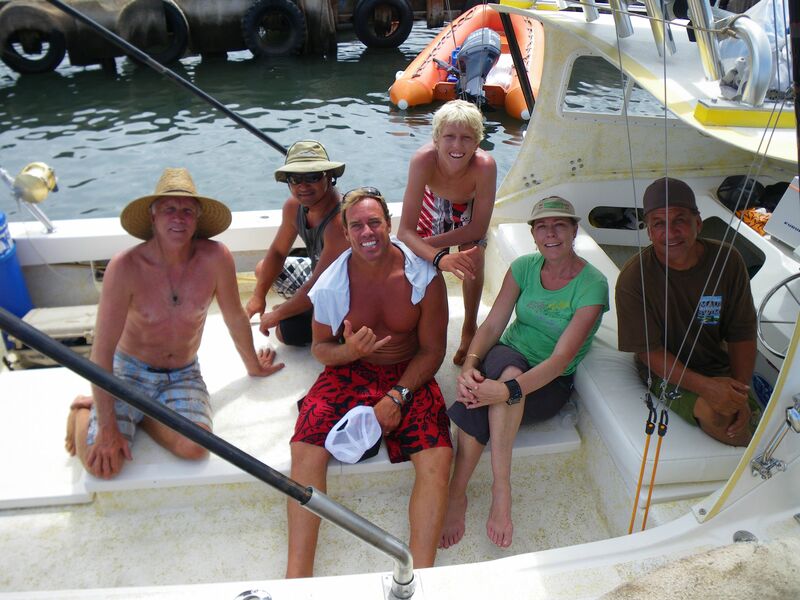 and then we put it all together in the 6 man outrigger canoe and race. 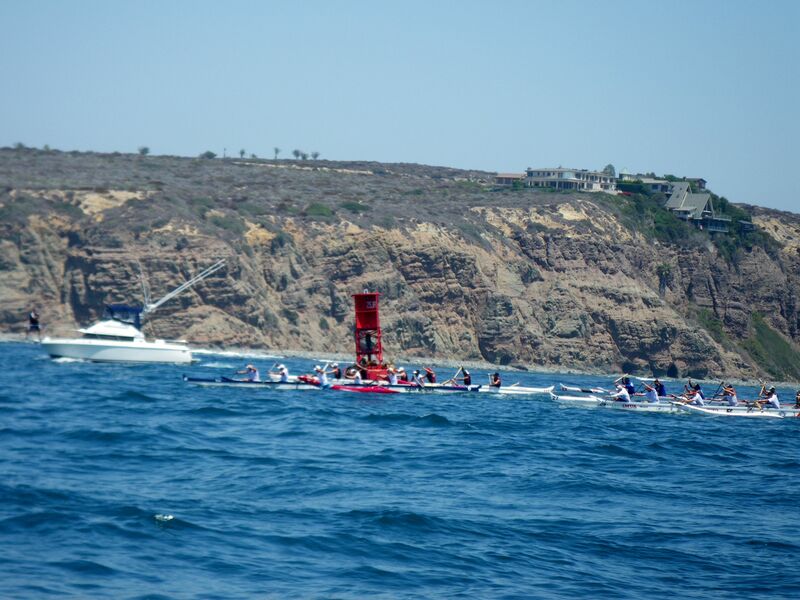 This 9-man outrigger race was out of Dana Point Harbor up the coast to Laguna beach and back down past the harbor and in. 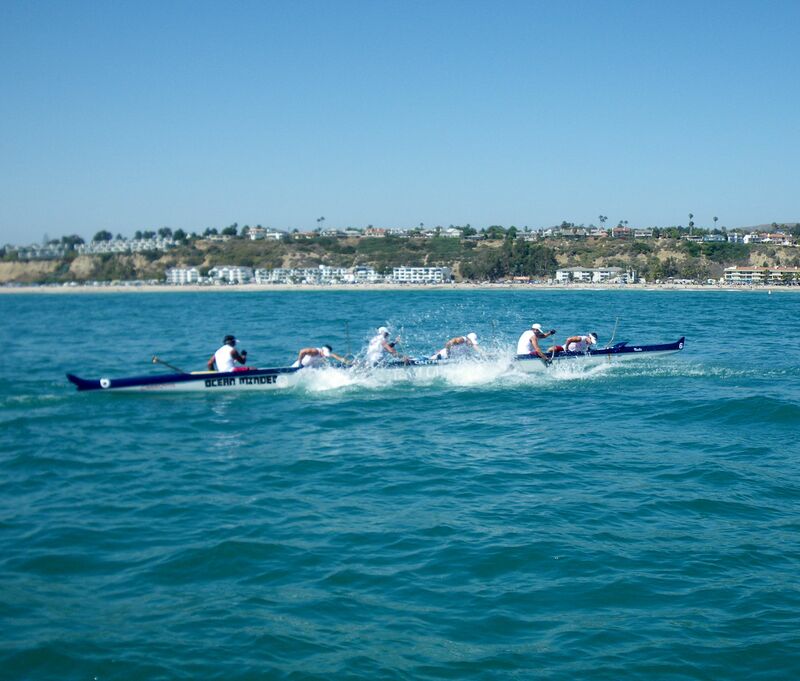 This is part of the 9-man series where each team of 9 guys traded out 3 guys every 10-15 minutes in the 6-man canoe thru out the entire race which was about 11-12 miles. 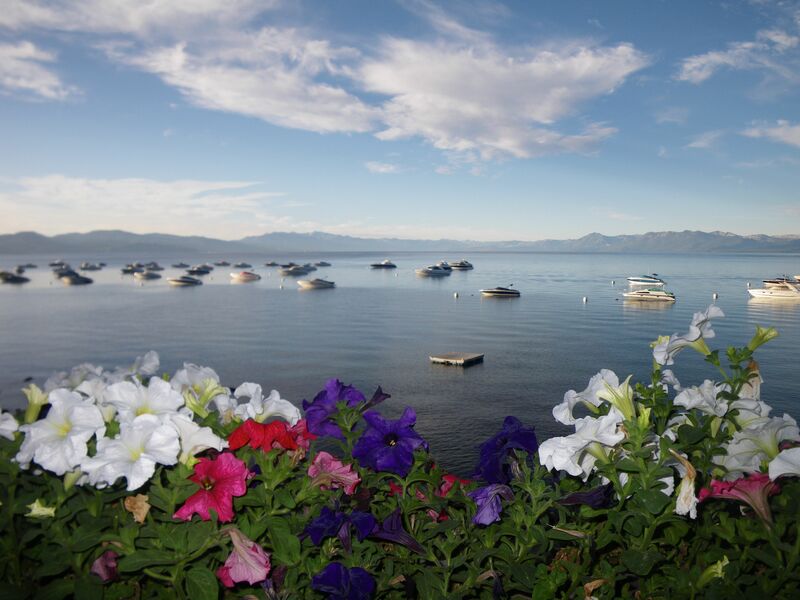 These races are super exciting and what we all look forward to each year. 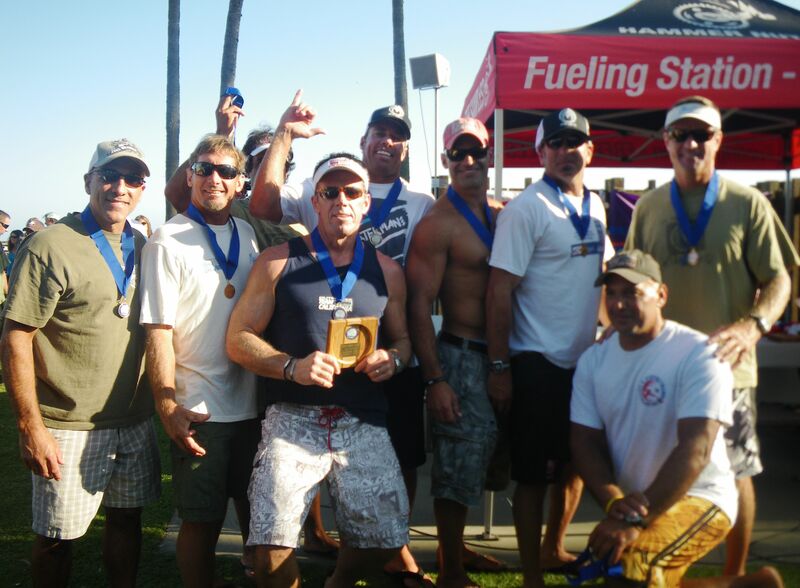 We placed 1st in the Masters and 3rd overall. 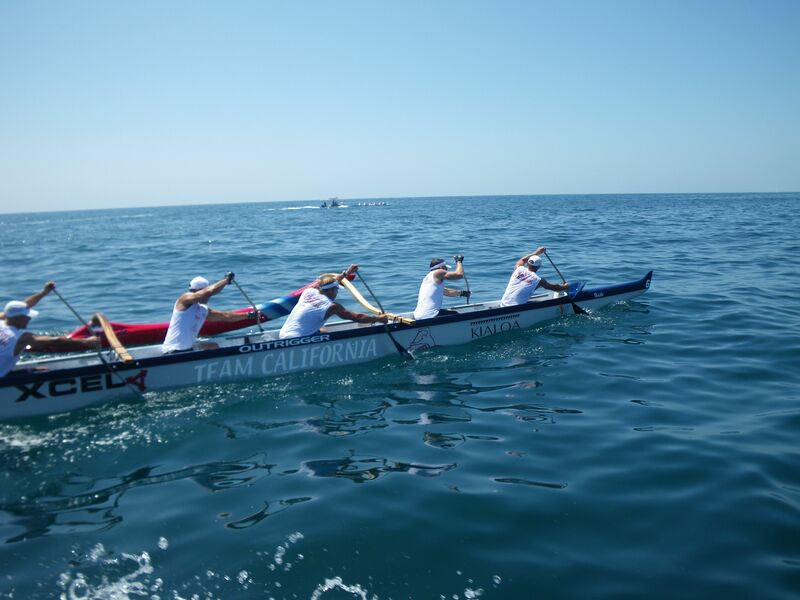 here we are just outside Aliso, paddling hard. 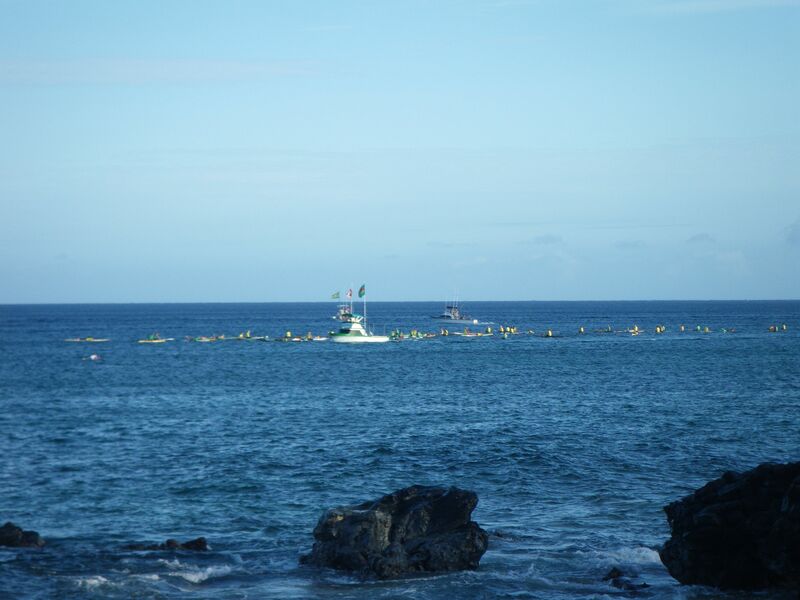 Still cranking up to the Laguna upwind turn buoy. 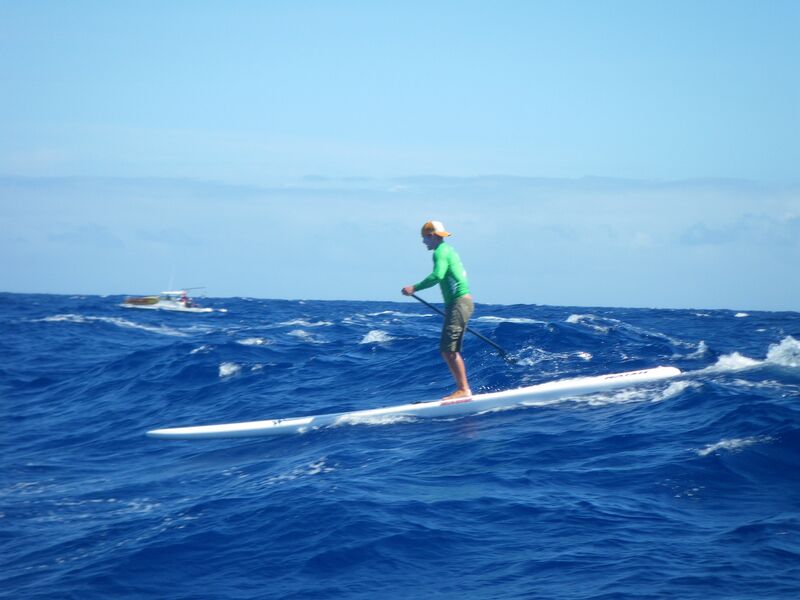 making our last change before the last turn buoy to the finish line. 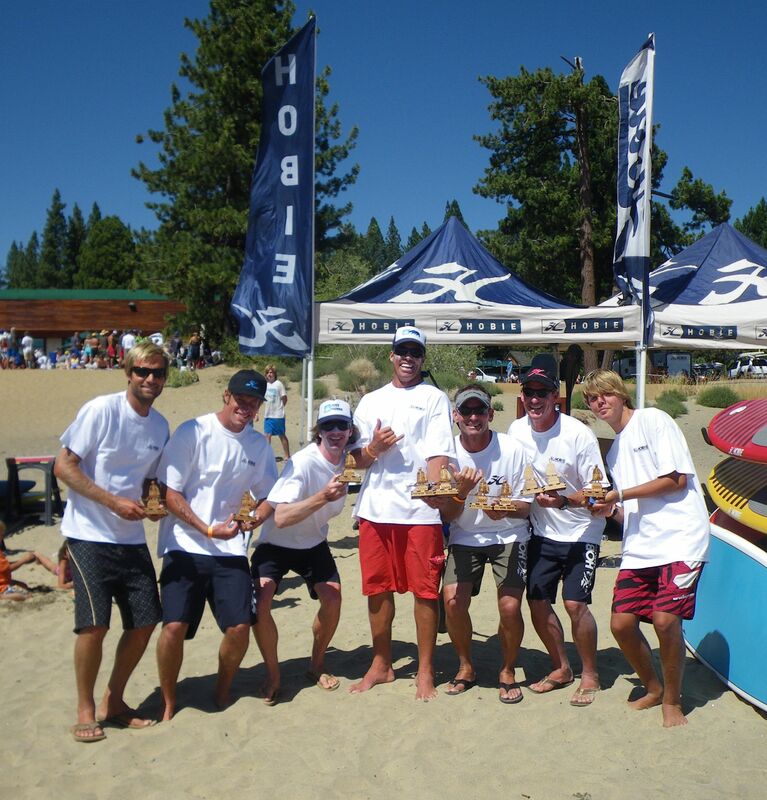 Team California, all smiles and stoked on a great race. 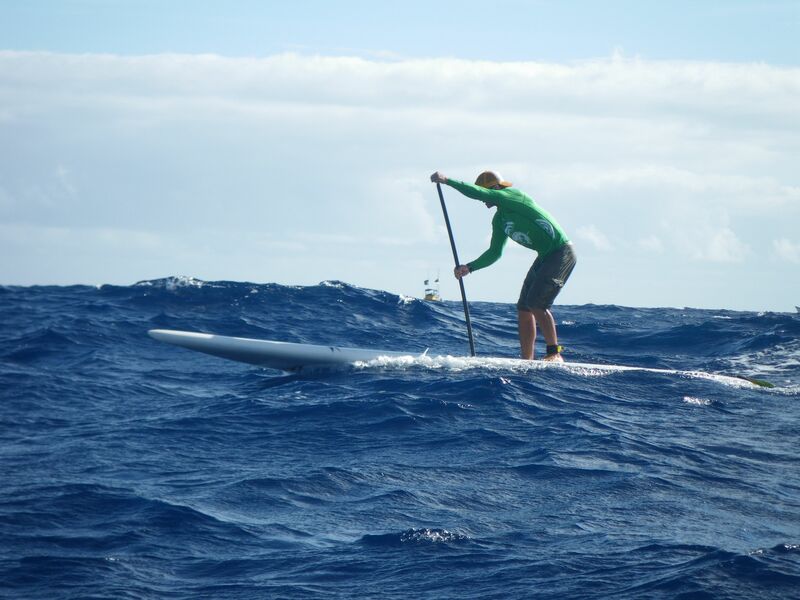 After the Outdoor retailer trade show in salt Lake city; I flew out to Maui to train and get ready for the Molokai Crossing. 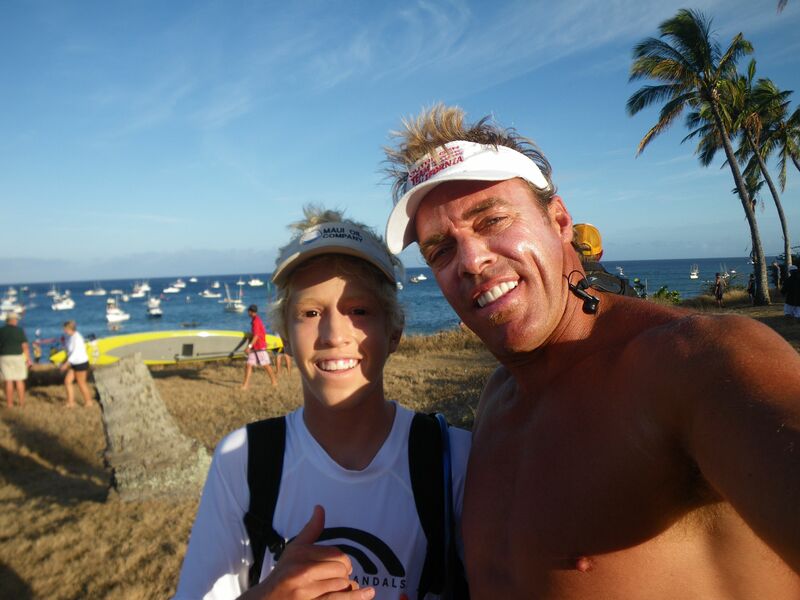 I always stay with my adopted family, “the Baxters” who have 2 super talented waterman kids that compete windsurfing, SUP racing, surfing, and tow surfing; you name it they do it. 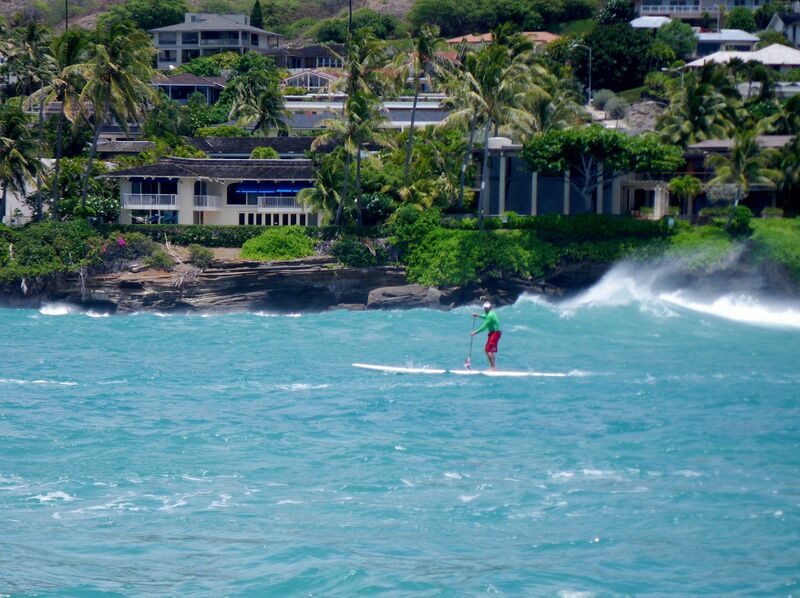 I trained for a couple days on a couple race boards on loan from Dave Kalama and Naish. 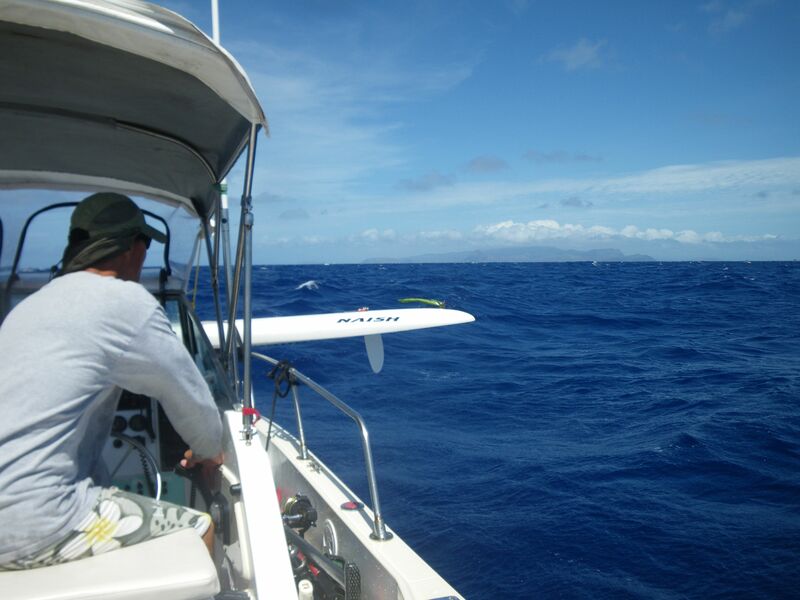 The day before the race, we drove a boat over to Molokai from Maui with all of our race boards and gear. 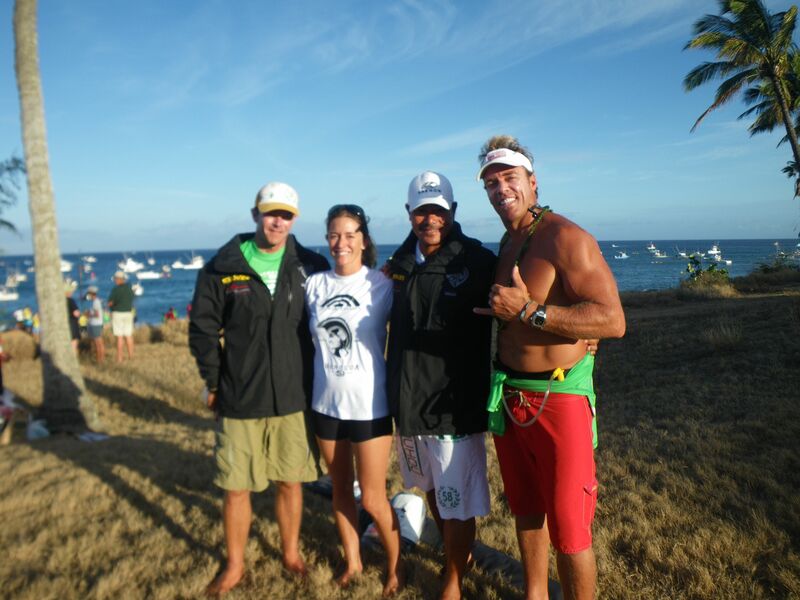 my team partner, Mike Fields, Jenny Kalmbok and Thiebert Lucia before the start. 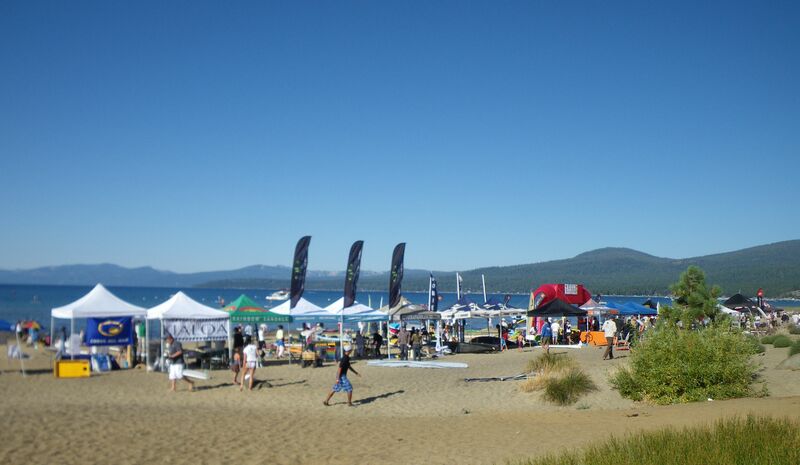 Prone paddlers started before the SUP paddlers. 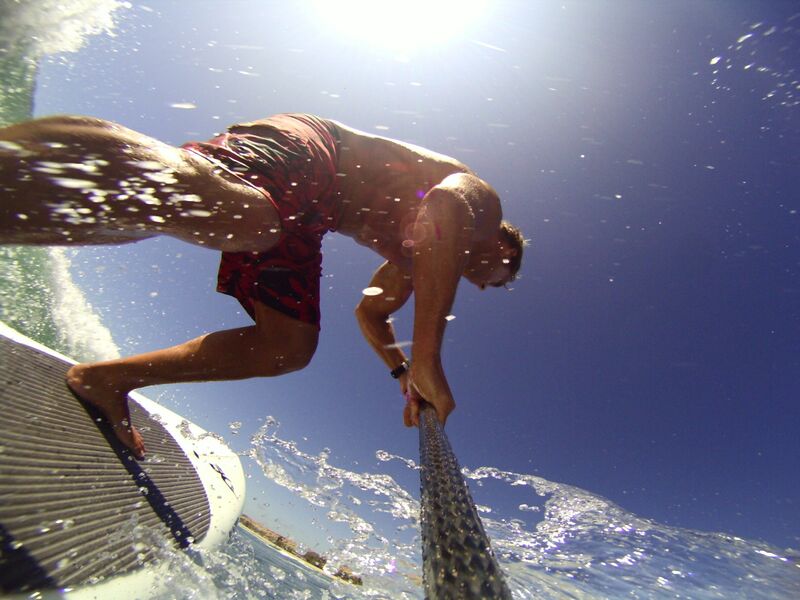 Mike Fields grinding it out in the channel. 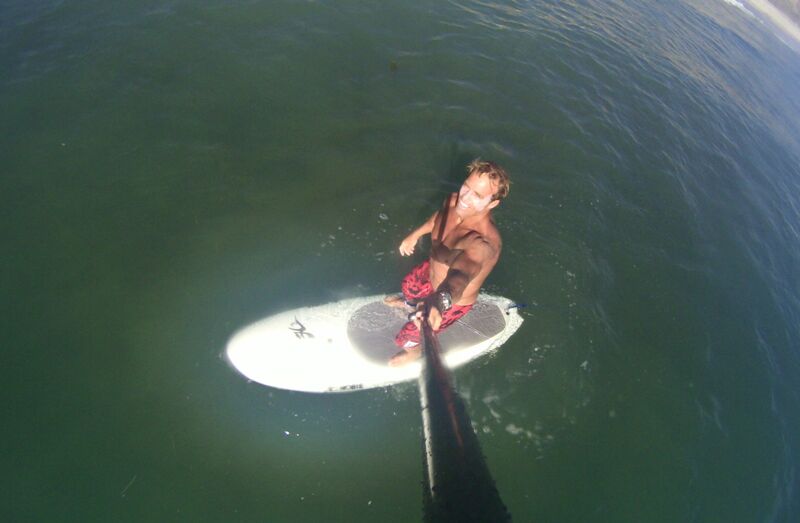 Mike getting some good rides. 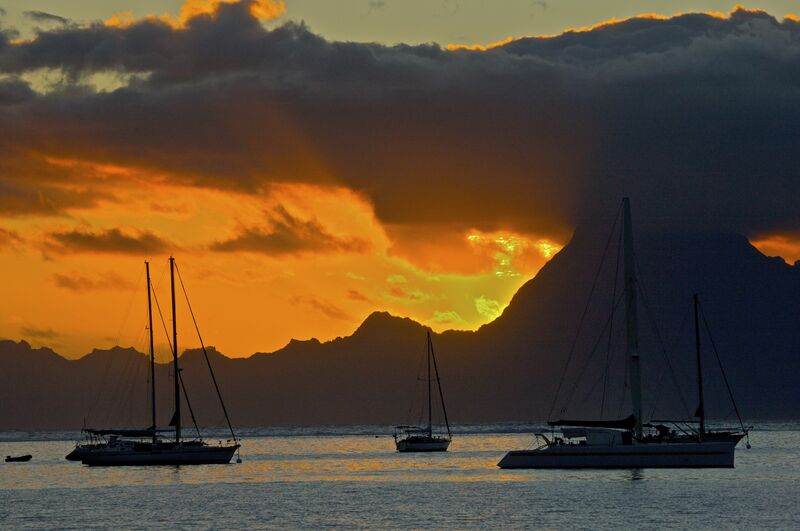 You can just start to see Oahu off in the distance. 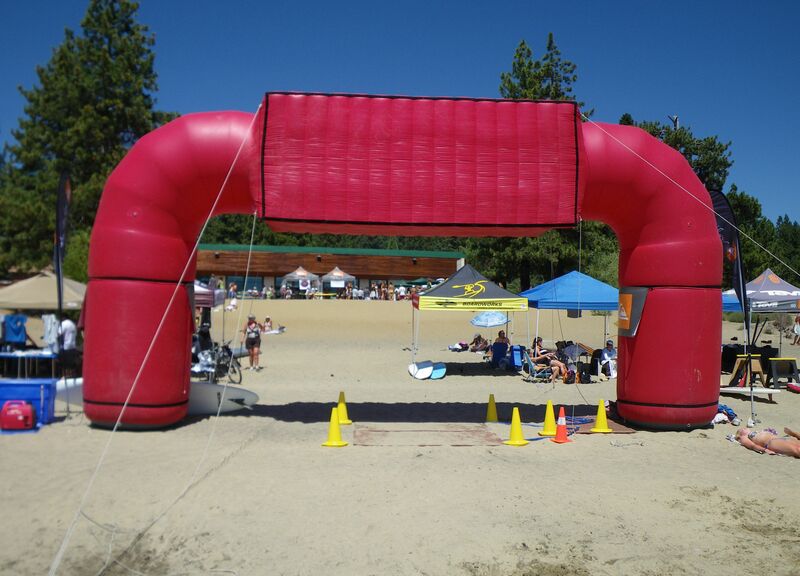 After I rounded Portlock Point, The wind turned into a 25 mph head wind, making it a super brutal finish. I'm almost there, but still grinding. 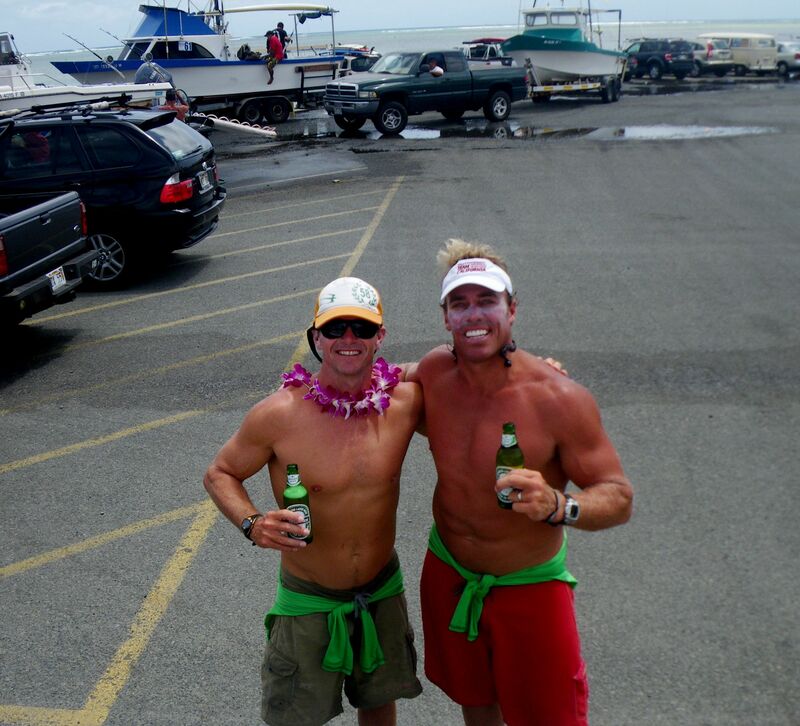 Mike and I enjoying a great tasting beer after a great day of paddling. 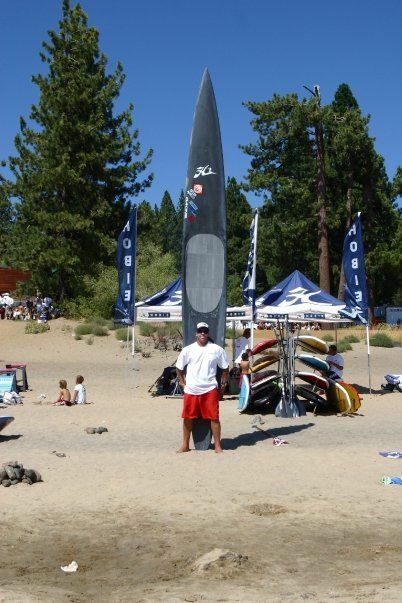 Got to love coming from California and finishing 8th overall. 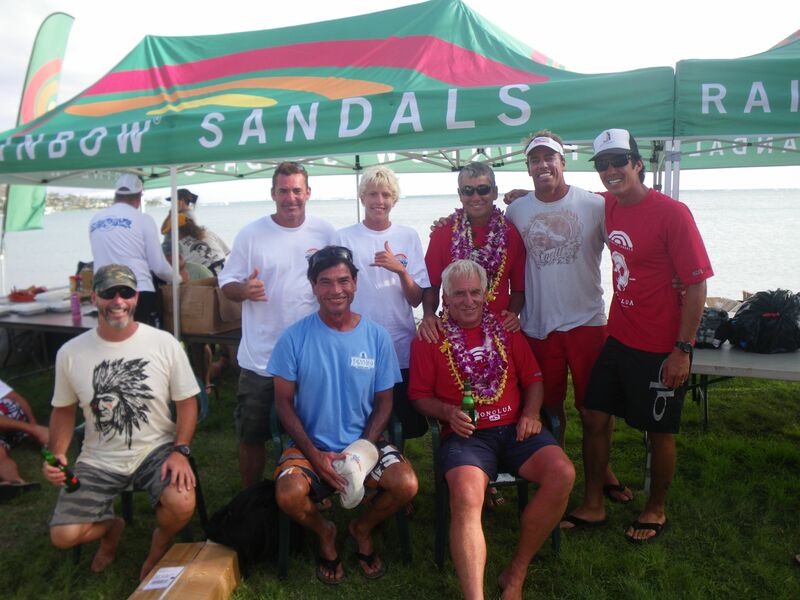 What an awesome event, hanging with great friends, thanks Sparky!! 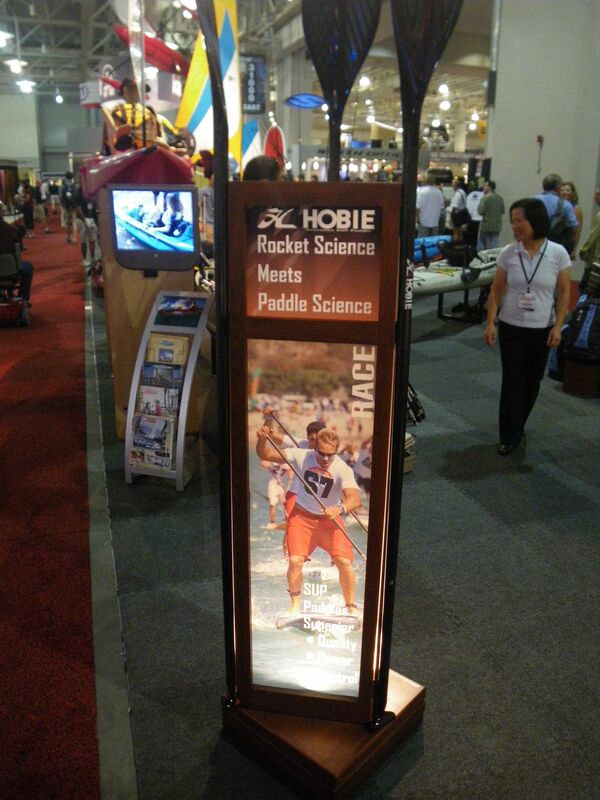 I went with the Hobie team to Salt Lake city, Utah for the Outdoor retailer trade show . 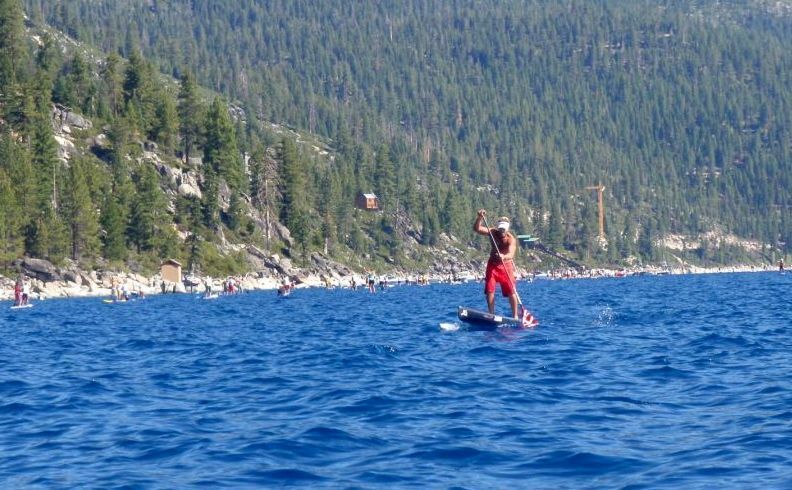 The day before the show, there was an on water demo at a lake near Powder mountain where the public could demo SUP boards and kayaks and ask questions etc. 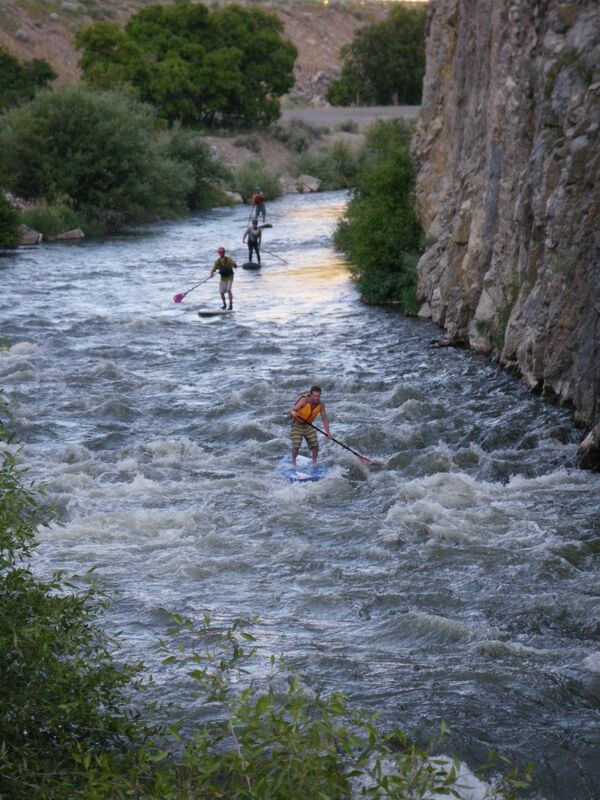 After the demo was over, the Hobie team decided to do a river run on the way back to Salt Lake city. 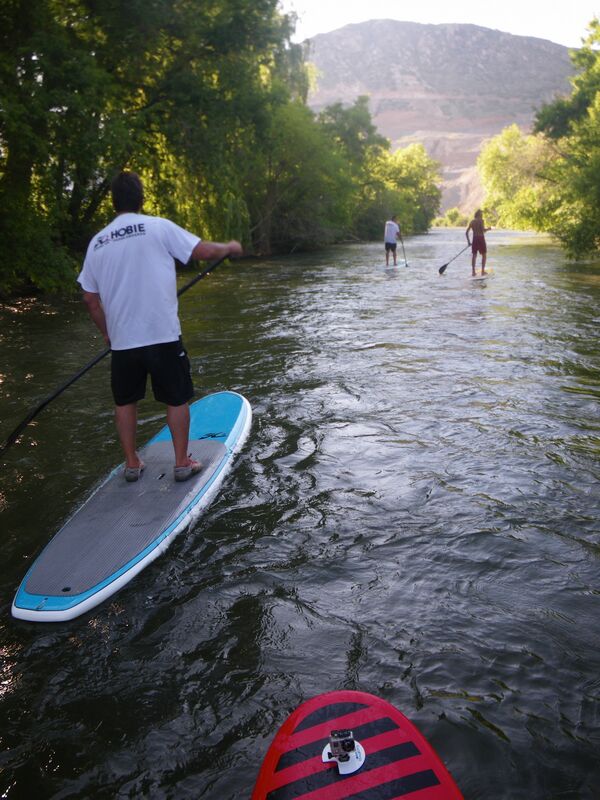 The Hobie team ready to paddle the river after a long day doing demos. 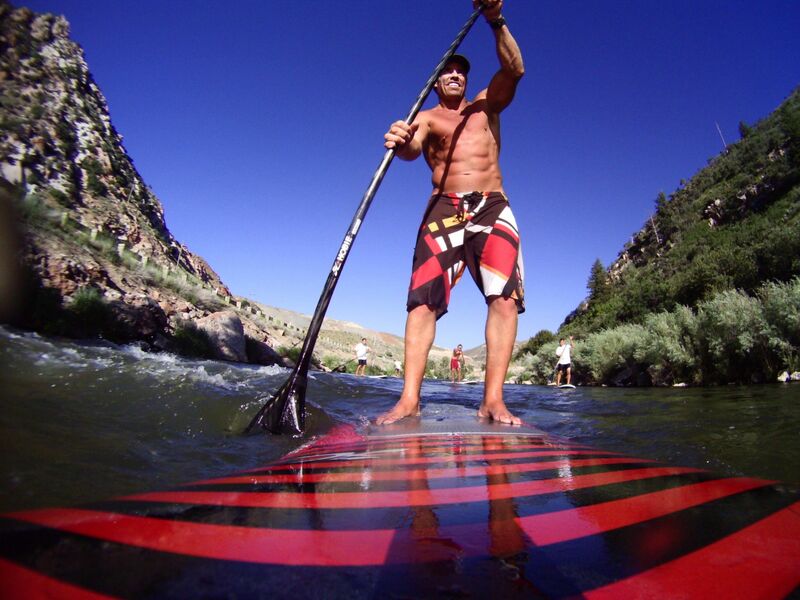 cruising down the mellow part of the river. 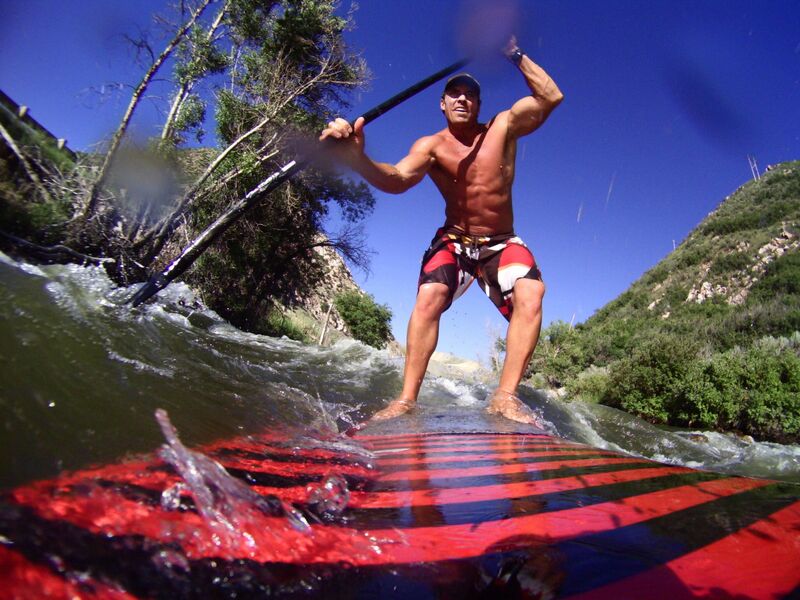 Just cruising with the boys, about to hit the rapids..
Tree tube on the way down. 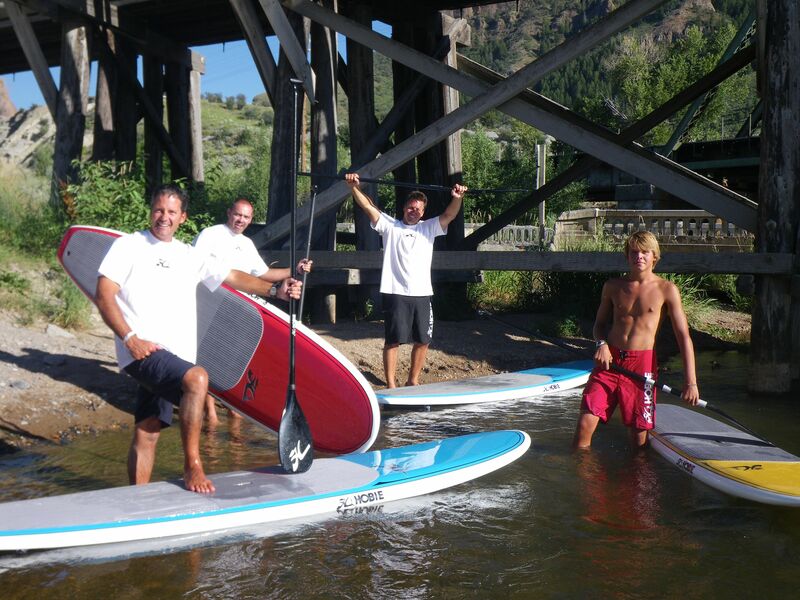 The river SUP pros ready to get rolled..